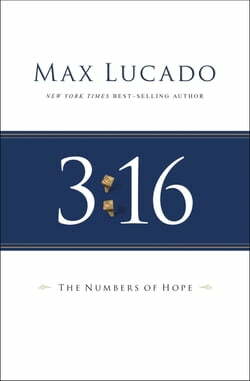 In the million-selling favorite, best-selling author Max Lucado leads readers through a word-by-word study of John 3:16, the passage that he calls the "Hope Diamond" of Scripture.A twenty-six word parade of hope: beginning with God, ending with life, and urging us to do the same. Brief enough to... read more write on a napkin or memorize in a moment, yet solid enough to weather two thousand years of storms and questions. If you know nothing of the Bible, start here. If you know everything in the Bible, return here. We all need the reminder. The heart of the human problem is the heart of the human. And God's treatment is prescribed in John 3:16: For God so loved the world that he gave his one and only Son that whosoever believes in Him shall not perish but have eternal life. He loves. He gave. We believe. We live.Believers and seekers alike have flocked to this hope and continue to share this message with those they love."